Laid out over 300 acres of a mined-out stone quarry, Rock Hollow Golf Club has become one of the premier public tracks not only in Indiana but also throughout the Midwest. 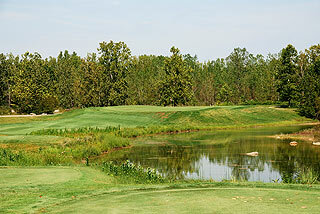 The Layout was designed by Indianapolis native Tim Liddy, and opened as an eighteen-hole championship course in 1995. 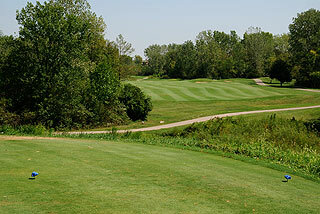 In 2004, Golf Magazine named Rock Hollow the "Eighth Best Course in the United States and Canada for under $50", and in 2005 Rock Hollow made Golf Digest's "201 Places to Play", one of only three Indiana golf courses to be named to this list. Taking full advantage of its natural surroundings, Rock Hollow mixes old-growth forests with cat-tailed wetlands and a plethora of thoughtfully placed rocks to make each round a tough, yet fair challenge. 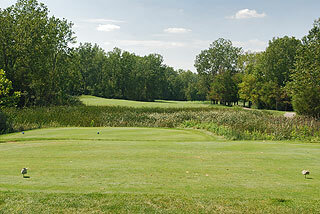 From the tee there are natural wetland areas to be carried and wide landing zones. Terrain is mildly hilly with some mounding near the greens. 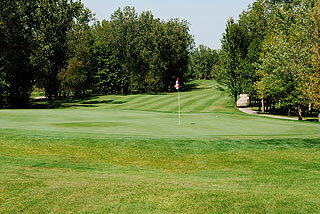 Putting surfaces are average sized with a mild slope and undulation. Yardage is marked on sprinkler heads and stakes on the both sides of the fairway from 100, 150, and 200 yards from the center of the green. Daily sheets with three pin locations (front, middle, or back) provide pin placement info for each green. Ski Caddie is also available for rent from the clubhouse and provides accurate distance to the flag from anywhere on the course. Four sets of tee boxes play to distances and slopes measuring 6944 yards/136 slope, 6463 yards/131 slope, 5912 yards/124 slope, and 4967 yards with a slope of 118 for women playing from the front tees. 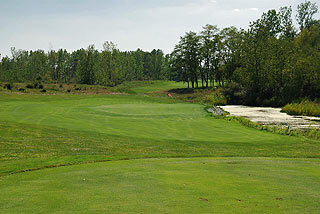 The short par four 1st hole (only 296 yards from tips) provides opportunity for a quick start. 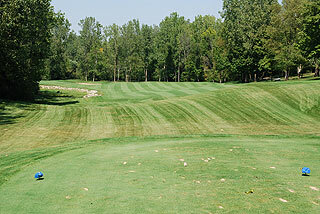 After that, five of the next six par fours are over 400 yards long, along with the 601 yard par five 6th. 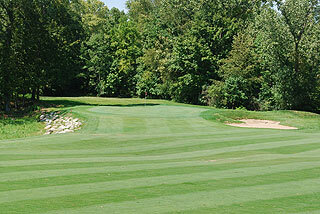 Two of the four par threes are over 200 - 219 yard 8th, & 228 yard 14th, the 4th is 167 yards, and the 11th is 184 yards. Rock Hollow was designed with a variety of long and short holes, and dog legs right and left challenging golfers to use every club in their bag and every shot in their arsenal. On property is a practice facility including a targeted grass/mat driving range, and a short game area for putting and chipping. The clubhouse features a pro shop, snack bar open for lunch serving hotdogs and sandwiches, and a banquet area which holds approximately 200 people. 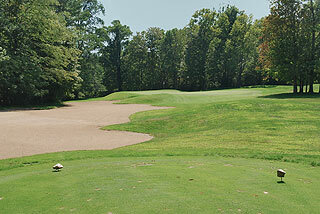 There are fifty sand bunkers situated near landing zones and greenside, and water comes into play in the form of lakes and small ponds on eleven holes.